As one of your most expressive features, your lips are often a focal point of your face. However, because you use your mouth and constantly move your lips, lips are more likely to suffer from volume loss than other parts of your face as you age. As you lose the volume in your lips from aging, your mouth can look flat. You may find that you develop wrinkles and lines around your lips that may be distracting and leave you looking older. These lines and loss of volume can be treated with dermal fillers for lip enhancement and can bring back fullness and softness to your lips almost instantly. For lip enhancement, Adelaide patients will benefit from a consult with Dr. Irene Kushelew. Based in Adelaide, Dr. Kushelew is a leader in the non surgical, cosmetic industry. With more than twenty years of experience, Dr. Kushelew is world-renowned for her eight-point facelift injections, with experience and expertise in all areas of non surgical cosmetic procedures. When patients meet with Dr. Kushelew in her Adelaide clinic or another practice for consultation, the first step is to do a full facial analysis. With this step, Dr. Kushelew can help patients to understand the options and treatments available to help them reach their cosmetic goals. Whether you want to do a total facial rejuvenation or you just need lip filler, Adelaide and Unley patients will have peace of mind knowing that Dr. Kushelew can help them find the best solutions. 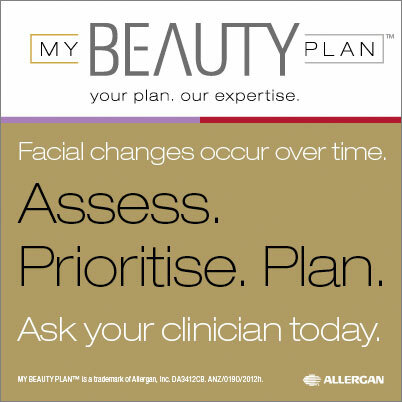 Every patient will have a customised, long-term plan for solutions to help them look as young as they feel. Lip enhancement is done with dermal filler injections. This dermal filler is made up of natural, sugar-based gel, which helps to bring moisture, hydration, and fullness back into the lips. Dermal lip fillers are safe and effective for your lips and help to redefine shape, replace lost volume and make your lips look younger and your face look healthier. When working with dermal fillers, including lip fillers, the experience of the practitioner can be crucial for good results. An experienced doctor can inject the dermal lip fillers precisely to create a subtle, natural result. With expertly placed injections, doctors can restore volume and create a natural, lip enhancement that will make you look healthy and vibrant. After receiving lip fillers, Unley and Adelaide patients will have very minimal downtime and recovery. While some minor bruising, redness, and localised swelling may occur at first, these effects dissipate quickly. lip enhancement results will last anywhere from six to twelve months. Having a youthful, healthy appearance is something most people desire and your mouth is often the biggest indicator as to how young or old you look being a focal point of the face. Restore the volume and youthful pout to your lips with lip fillers. Dr. Kushelew’s expertise ensures that you will have brilliant results, every time. With clinic locations in Adelaide and Unley, and consultations in practices all over Australia, Dr. Kushelew has a location and the techniques necessary to get you back to your youthful, healthy self again.